With so many hobs to choose from it’s hard to know which one to pick. 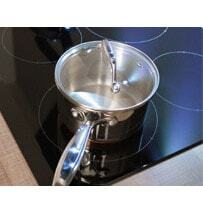 CDA have designed hobs to suit your needs and to help you get the best out of your cooking. From ceramic to gas, all our hobs are stylish and user friendly to give you piece at mind when cooking. 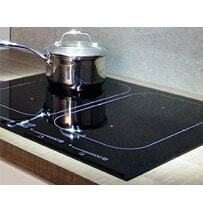 Our wide range of ceramic hobs offer between 4 and five zones in a range of sizes. 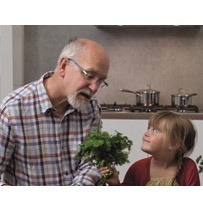 With a range of features including child locks, LED displays and auto safety switch off, cooking is made easy. These touch sensitive hobs have overflow detection features so your water shouldn’t boil over and make your hob dirty, but if it does become dirty the shatterproof glass is easy to wipe clean. CDA have an extensive range of gas hobs with 4 to 5 burners and in a range of styles and finishes, including stainless steel or ceramic. All gas hobs have flame failure safety devices on them to ensure your safety around the flame. Some styles have wok burners allowing you to cook with wok or larger pans, ideal if you’re cooking large amounts. 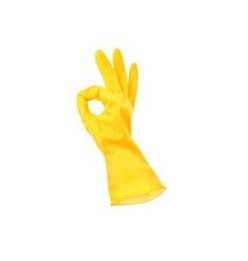 They are very easy to control and are the best for providing direct heat. Most homes in the UK do not have a supply of mains gas, but manufacturers now offer a conversion kit that converts the model to be able to run on LPG gas, which is more common in households. CDA’s induction hobs have between 4 and 6 zones and come in a range of styles, to see the styles have a look at our range of induction hobs. With automatic pan detection and a booster function your food will be ready in no time, as they heat up much quicker than other hobs. This is now one of the most effective ways of cooking, and heats up so much quicker. 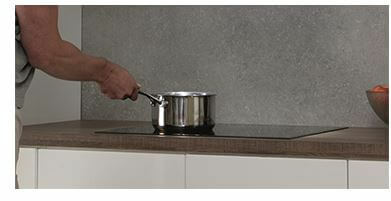 Domino hobs can provide great flexibility when cooking, and is definitely recommended for the more active cooker. You can mix and match with the type that you want. You could have a ceramic section, then gas next to it, to suit how you cook best. 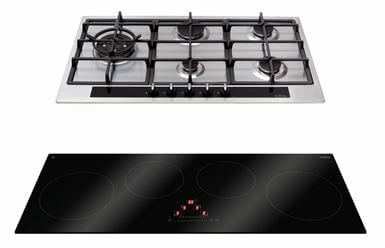 Or have an induction hob as your main cooking facility, but then a separate domino hob next to that for flexible use. CDA offer a griddle domino hob, perfect for cooking steak at the same time as boiling your vegetables on your induction hob. This will be ideal if you are a passionate cook who likes to try lots of different styles, with domino hobs they can help you to vary your cooking. 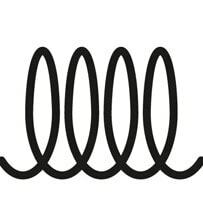 Electric is one of the classic form of hobs, the cooking elements on electric hobs are known as cooking rings or zones, our electric hobs have between 2 or 4 rings. Our rapid zones and 6 power levels ensure that your cooking time is reduced, so you have more time to enjoy your food! The 4 different sized cooking zones give you full control of your cooking, allowing you to cook several dishes at once, ideal for a busy home. With a stainless steel finish it is a great edition to your kitchen. 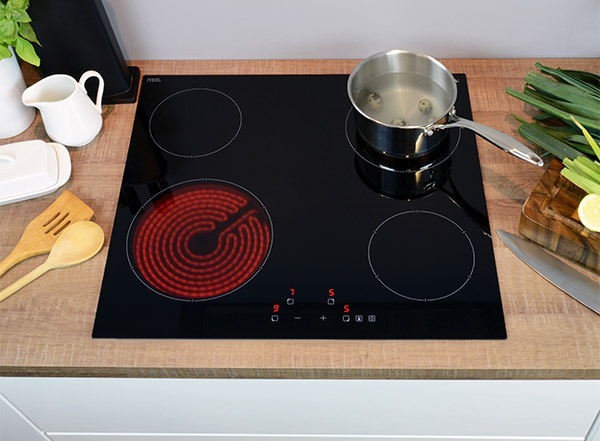 Take a look through our hob buying guide and discover how induction works, our top tips on cleaning and care for your hob, which models are best for each type of cook as well as jargon-busting explanations for induction, ‘bridging technology’ and eddy currents.